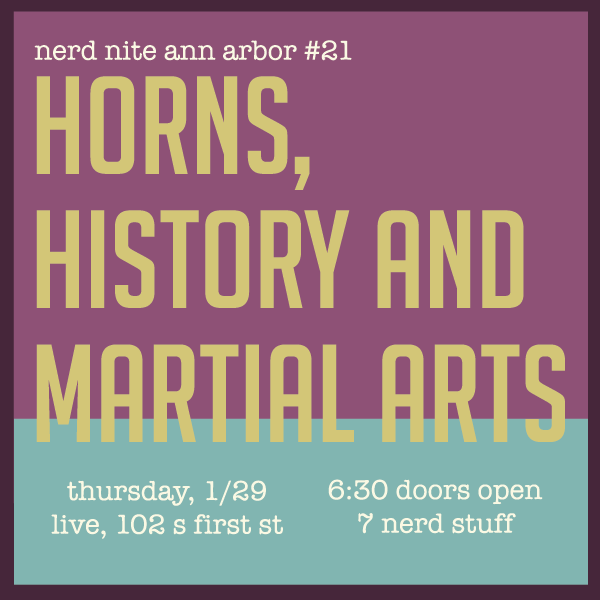 Nerd Nite welcomes 2015 with a roster spanning history, sound and action! We all like a good story now and then, right? All the better if that story is something from our city’s collective past. Local history geek & author Patti Smith will take us on a tour of the Good the Bad and he Ornery in Tree Town’s past. Like the sound of that? Carl Engelke will expose us to different sounds — heroic trumpet fanfares — as he considers music and physics in the natural history of the trumpet. Finally, who couldn’t use an extra boost of self-confidence? Martial arts trainer Sal Sanfratello will illustrate how direct action and experimentation may help us become a little more balanced and courageous in our everyday lives. Ponder some our past, consider your favorite fanfare, and take action — grab a beer and say hi to your fellow nerds! When: January 29th, 2015, doors at 630pm, talks at 7pm! 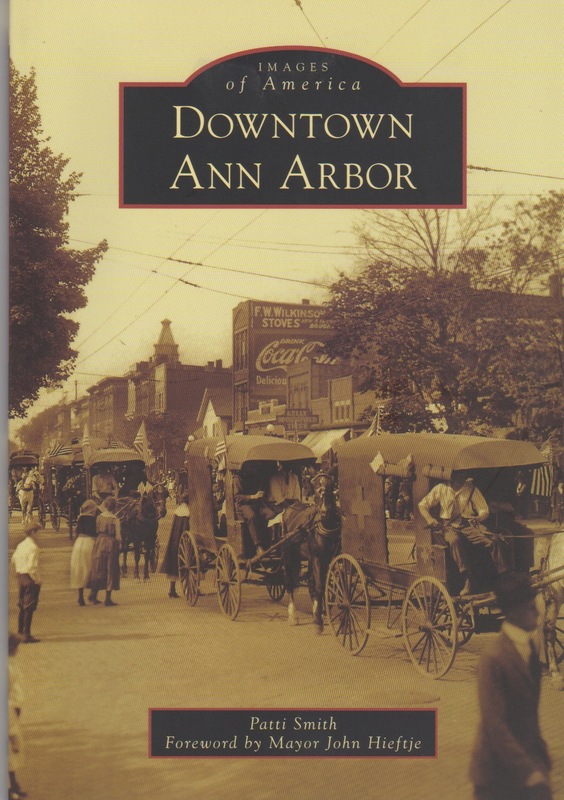 Using pictures from her book, Images of America: Downtown Ann Arbor, local history geek Patti Smith will take you on a tour of our not-so-distant past where we will visit with store men, shoe men, and some very irate students. Special education teacher, former lawyer, local history geek, loves writing and crossword puzzles. Unless you’ve been living under a rock for the last 35 years, you’re familiar with the heroic trumpet fanfares that catapult the audience from the theater to a long time ago in a galaxy far, far away in Star Wars. But how did the modern trumpet come to look and sound the way it does today? The answer traces back to its primordial beginnings as “found objects” that gradually evolved more and more sophisticated technology through the centuries, influencing composition along the way. 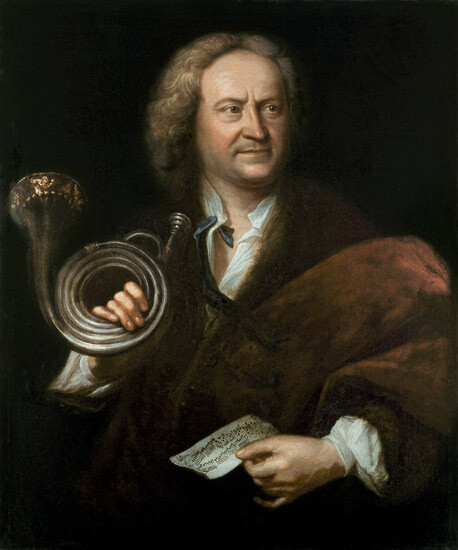 Brace yourselves for a combination of music and physics as we chart the natural history of the trumpet. Carl had many, varied interests throughout the years, and he still sometimes wonders what he wants to do when (if) he grows up. He studied trumpet performance in college at Indiana University and the Royal Academy of Music in London, and performed with the Civic Orchestra of Chicago upon graduation. Currently, as a completely logical next step, he is an MD/PhD student at the University of Michigan Medical School, where he studies how RNA influences the development and progression of prostate cancer. We as nerds live in two worlds: one of thought, and one of action. Come and talk about the value of action, and ways we can create more balance, and more courage, in our lives through safe and effective experimentation in our many and diverse interests. don’t just imagine it: try it! Aegis’ founder and lead instructor, Sal Sanfratello, is a modern Renaissance man. 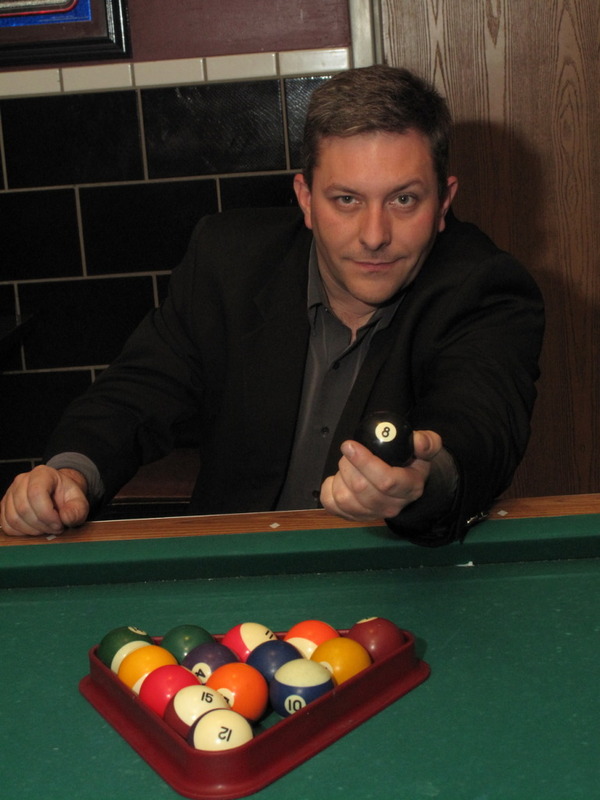 He holds undergraduate degrees in International Relations and History from Purdue University and earned his MBA online from Phoenix University while working full-time as a project manager and managing and teaching classes at Aegis.